Pages on Cinema: The Stuff That Dreams Are Made Of? The Stuff That Dreams Are Made Of? Unfortunately therein lies the problem... How can you sum up someone's life in 255 pages? 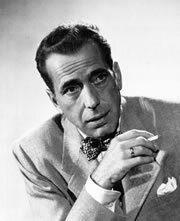 Especially someone who had done as much, and had as big an impact on the film industry and popular culture, as Humphrey Bogart? I suppose I should've known better simply by the length when I picked up the book, but this bio is pretty touch and go, simply hitting the major points and rarely going into great depth. 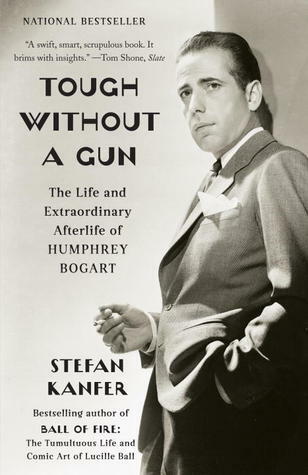 The beginning is interesting enough; this being the first biography of Bogart I've read there was information (new to me at least) about his youth and how he managed to work his way into the movies. However toward the middle is where things fall apart. It turns into a set of simple synopses of the films he worked in, rarely going into much detail. I kept wondering to myself how much of the same information I could have found simply by browsing IMDB. The most interesting bits of knowledge shared during these sections are often quotes or paraphrases of information borrowed from other Bogart biographies, leaving me wondering why I wasn't just reading some of those instead. There are breaks here and there to discuss war and politics, but overall I couldn't help wishing there were more detail throughout. Toward the end it finally gets interesting again, as it walks through the events leading up to his death and his impact on the world of film and popular culture ever since his death. It talks about the real Bogart and what he stood for in film, a man's man, and how there never was a leading man like Bogart before, and there has never been one since. 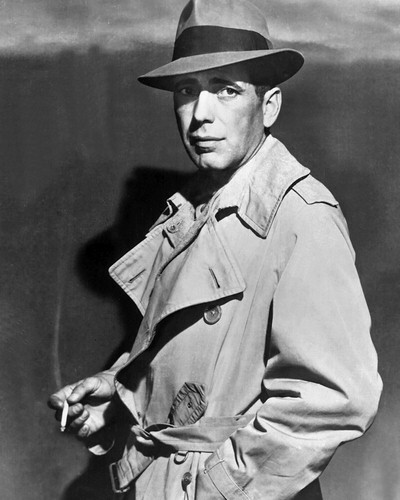 While you may be able to compare some leading men today to some leading men of the past, no one compares to Bogart, he was one of a kind. The final 2 or 3 chapters was the best the book had to offer, and gave the best understanding of the man himself and his impact on the world. Overall this biography left something to be desired, but there were parts both informative and enjoyable. Perhaps I've just been spoiled by biographies like Neal Gabler's extremely in depth, 800+ page biography of Walt Disney, and couldn't keep from comparing one biography from another. Considering I have limited time at the moment to read I suppose I can be thankful to be able to spend a short time reading about Bogie. Either way this is a decent, but brief introduction to the greatest screen legend of all time, if for no other reason then that, it's worth a look.